Applying to Foreign Investment Review Board: Australia is unique in that it regulates the percentage of properties that can be bought by foreigners. Many of these regulations depend on the land’s rights that becomes available and what zone that land is located in. It is highly recommended to apply to this board before considering purchasing in Australia to see what the current restrictions are. This way, unnecessary burdens can be avoided if it is not possible to purchase property in certain areas of Australia. Budget Calculation & Pre-Mortgage Approval: Foreigners do have the potential to obtain mortgages within Australia. The key to obtaining a successful application is going to be related to their credit score with the Australian Credit Union. This score may be hard to get for foreigners as they do not have established credit scores within Australia. Many times, the expat’s employer may be able to vouch for their salary within Australia should it be high enough. Another avenue to pursue is to demonstrate a high credit score in the country of origin. This will prove quite persuasive in terms of obtaining approval for a mortgage in Australia. Pick the Ideal Locale: Picking the ideal place in Australia is going to take some research. In many cases, individuals may be limited to the places where they have been hired. For this reason, it is important to assess what values are important to you in terms of locale so that you are able to find the right location for your preferences. One of the governing factors of this decision is going to be centred around price. It is important that you assess what areas are realistically in your budget so that you can calculate their cost of living and also their average real estate value retention rate to ensure you are making a valuable investment. In terms of researching potential properties in Australia, it is wise to utilize sites such as: com.au, Realestate.com.au, and Citysearch. Transfer Money & Buy or Finance: Transferring capital between markets can be quite challenging. For this reason, it is extremely useful to explore other options that are not banks. Banks are known for very high fees. This is why money transfer companies have become quite useful in terms of working with moving large amounts of money to Australia. Low Fees: Banks, many times, charge far higher fees than money transfer companies do. They also are responsible for charging higher fees for lower amounts of capital. Money transfer companies, on the other hand, are known for charging substantially less regardless of the amount that is being transferred. For individuals that plan on sending money regularly between markets, the savings will really add up. Better Currency Conversions on Banks: Banks are known for their poor currency conversion rates. Money transfer companies are able to beat the bank rates, particularly on larger sums of capital. This is why it is best to have a money transfer company assisting you if you are planning to move a large amount of money to Australia in order to purchase a piece of real estate. Due to the different in exchange rate, you will be able to save substantially on your money transfers overall. Less Time to Send Money: Depending on your needs, you will be able to schedule your payments and transfers with efficiency when using a money transfer company. Banks are well-known for taking far too long when transferring money between markets. By choosing to use a money transfer company, you will have faster results without paying expedited fees that the banks like to charge their customers. Great Customer Service: Money transfer companies have staff that are very attentive to any and all questions that you may have. They are receptive to assist you with challenging situations and overall, have a higher level of service than many banks do. Expert Advice: Money transfer companies have experts on staff that have a great deal of experience trading in the financial markets. These specialists will be the ones that are timing the transfer according to the best market conditions to save the customer the most money possible. Their expertise is highly valuable, which is yet another benefit of working with a money transfer company. Deposit Fee: The deposit fee is usually equal to one month’s rent. It is important that you set aside at least a month’s rent in addition to your rent for your deposit. If you are able to do so, it will serve as your deposit that you will have returned to you upon the satisfactory completion of the lease and return of the keys with no substantial damages. This is important to note so that you are able to have that much capital together at once. Many apartments will not take credit card for the deposit. Rental Fee: It is important to realise that rental fees in Australia are quite expensive. This is particularly the case in cities such as Sydney and Melbourne. It is wise to arrive to Australia with a large amount of capital in your pocket so that you are able to pick and choose where you will be staying with financial flexibility. This will help you to feel less stress while you are adjusting to your new country. Furnishing: Furnishing is something that can get quite expensive in Australia because many of the short term and long-term apartments do not come furnished. Furthermore, the limited apartments that do come furnished cost a substantial amount of money that could be too costly for an individual that already has substantial expenses from relocating abroad. For those that are looking for a shorter-term apartment in Australia, it may not be worth it to invest in furniture unless you are planning to move it into a property that you will be purchasing. Stocking the Rental: Stocking the rental with the basic necessities such as cleaning products and basic food items also adds up. This is why it is important to assess a cost-benefit analysis about whether a rental in Australia will end up being worthwhile and affordable. Potential Realtor Fee: Depending on the zone in Australia that one is looking for, there could be a realtor in terms of signing leases. Many times, the owner will cover this for renting their unit; however, the renter should be ready to pay these expenses if they go through a real estate agency so that they do not have any unfortunate surprises while they are first laying down roots in Australia. 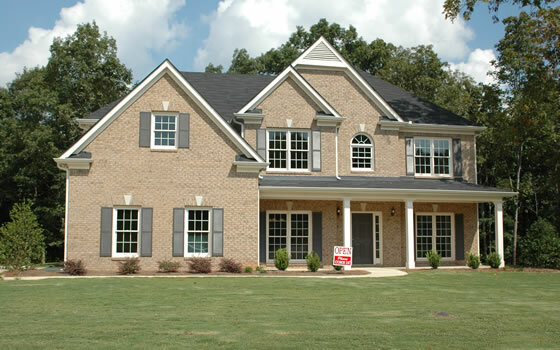 It is highly important to plan carefully before looking for property in Australia. It is also wise to aware that the cost of living is quite high in Australia and this is particularly true in terms of property prices and average monthly rents. Be sure that you are wise with the amount of capital that you decide to bring into Australia so that you have enough to cover the expenses of getting started there. Additionally, it is highly beneficial to take advantage of money transfer companies when moving large amounts of capital to buy property in Australia. Doing so has the potential to save a great deal of money on exchange rates and wiring fees like there are in Australian banking for expatriates. All in all, it is absolutely possible to relocate to Australia and purchase property there. They key is to find the right property for you that is within your budget and then you will thrive while residing in Australia.